The role of fiscal policy in short-run macroeconomic stabilization is, by now, well known in the academic literature and in policy circles. However, this focus on the short-run, especially in a democracy, means that much less attention has been paid to the other consequences of the use of fiscal policy. By studying the intergenerational-welfare aspects of fiscal policy, this book deals with some fundamental issues of fiscal policy. Why does public debt tend to rise over time in democracies? Why is there a tendency for government spending on consumption and on social security to grow? Why do governments fail to invest in public capital adequately? Should a dollar transferred from the young be treated as a dollar transferred to the old? 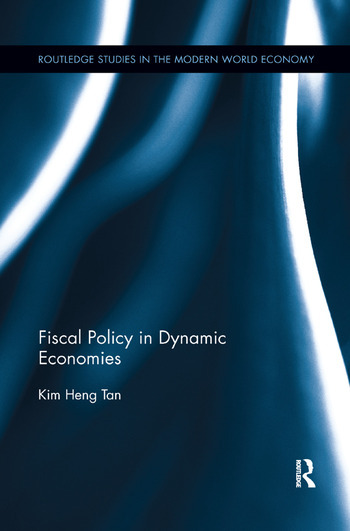 By studying the international aspects of fiscal policy, the book establishes international differences in fiscal policy as determinants of persistent trade imbalances and international indebtedness. It also considers some basic questions on international transfers and austerity in open economies. What criteria should be used to define a successful foreign-aid programme? Why is foreign aid likely to fail in a world of global wealth disparity? Can reliance be placed on the international coordination of austerity to improve welfare in the long run? Is austerity accompanied by international transfers superior to austerity unaccompanied by international transfers? This book based on the OLG model fills a gap on fiscal-policy issues in the recent spate of books on overlapping generations. Kim Heng Tan obtained his Bachelor of Engineering from the University of Adelaide, a Master of Commerce from the University of New South Wales and a PhD in Economics from the University of Sydney. He wrote his PhD thesis "Public Policies in Dynamic Open Economies" under the supervision of eminent international trade theorist Alan Woodland. He taught economics at the University of New South Wales and Macquarie University in Australia before joining Nanyang Technological University (NTU). He has published in internationally refereed journals. He is now retired from NTU but still teaches Macroeconomics for the MSc (Applied Economics) programme.